More sign in options to get to your work more quickly! 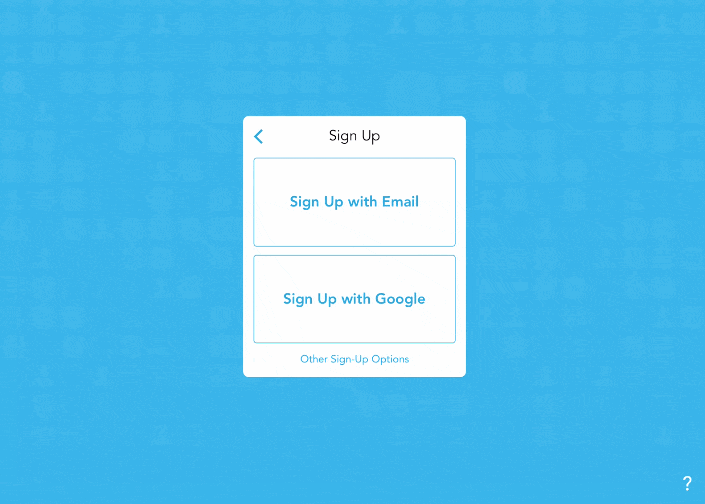 Showbie is compatible with a Google, Microsoft, or Feide Single Sign-On accounts which you can use to sign in quicker! Whether you are still signing up or you want to link your current Showbie account, you can link two together either on the iPad or Web. Oops! Getting this error message? “Sorry, looks like there was a problem signing in to your Google/Microsoft account. Please try again”. Try signing into Showbie without using the Google/Microsoft button and then follow the instructions below in existing accounts to link your Showbie and Google accounts. Keep in mind that your administrator must enable Feide before you can create/link a Showbie account with Feide. Now that you’ve linked your Showbie account, when you’re signing into Showbie, remember to tap on the Sign In with Google or Other Sign-In Options if you’re looking to Sign in with Microsoft/Feide. Did you link the wrong account? Maybe you want to disable your SSO account. No problem! Just tap on your profile picture and follow the same steps as above. You can toggle off your SSO connections to disable them. You’re on your way to personalizing your account! You can even change the language too! Here’s how you can change your language. You can personalize your account even more! Take a look at this guide to change your profile picture. You may have noticed it as you were following the instructions to enable other sign-in options – you can change your password as well using a similar process.